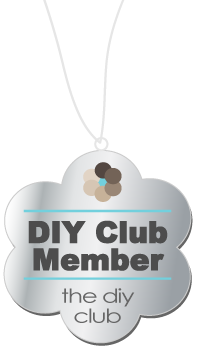 First things first, my Anthropologie knock-off was pinged on one of my favorite sites to get inspiration from! Okie day. So a long, long time ago (Christmas 2010? 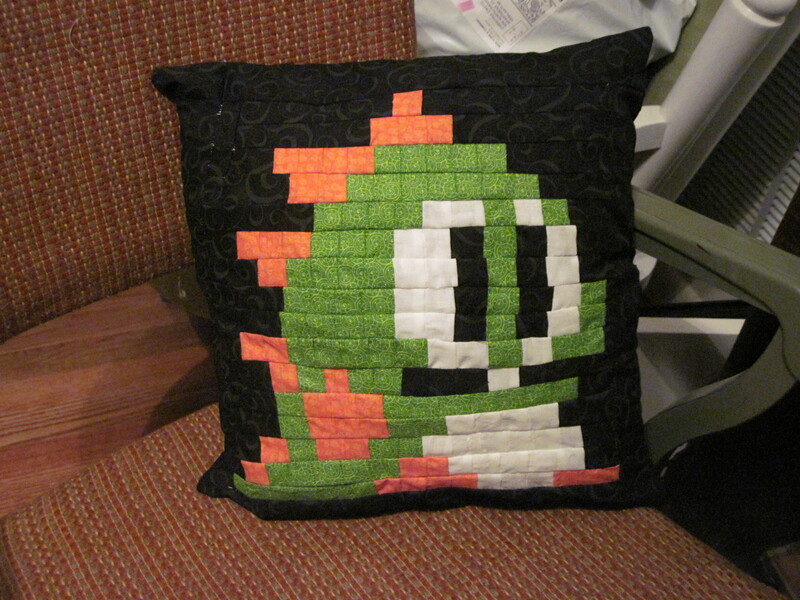 lol) I made this quilt and I can’t believe I never posted a picture! I was so proud. So since this was my very first quilt, I wanted to do several different things and so I did the little yarn knots in all the corners (the name of this has left my brain, perhaps permanently) and, you can’t really see it in this picture, but I quilted green bubbles all around in the black area. Also, and I’m pretty stoked about this, notice how the majority of my corners match! 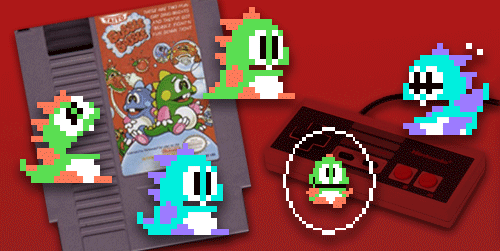 For those of you unfamiliar with 1980’s video games, this is the bubble dragon Bub, of Bubble Bobble. Only the best game EVER. It’s a platformer arcade sort of game (similar to Pac-man) only you run around shooting bubbles at your enemies and then jumping on them to pop ’em, “killing” the bad guys. Unfortunately, if you trap an enemy in a bubble and don’t have a chance to pop it, they turn red and get super angry and super fast and kill the crap out of you- unless you’re pro…like me… or probably my friend Murph… not to brag ;P So, awesome game which has sucked hours of my life away from me (thank God for teleportation umbrellas). Anyway, I made this quilt and Murph really liked it when she saw it for the first time so insert light bulb. 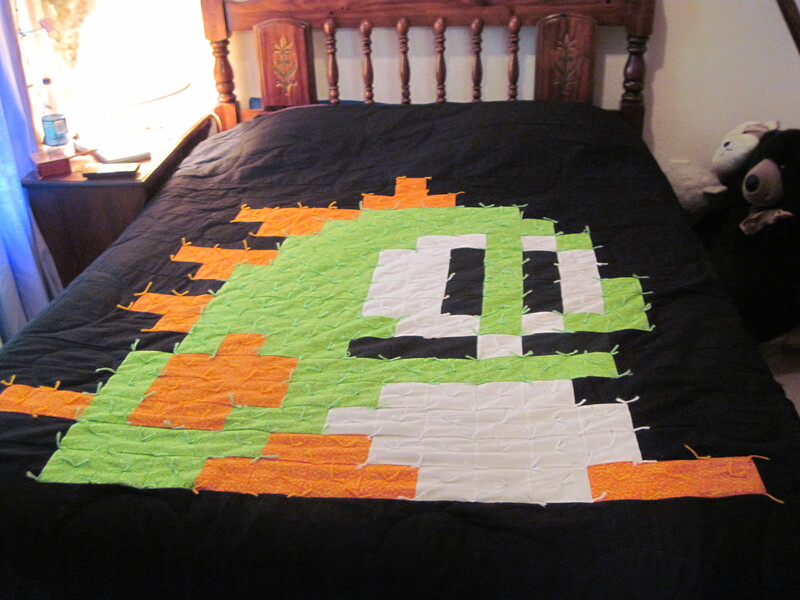 It took me a week and a half to make that quilt. I get bored easily. So I figured, “no quilts that takes too long, but a pillow…” in my head pillows were smaller, less fabric, and as 1+1=2, I figured, easier.